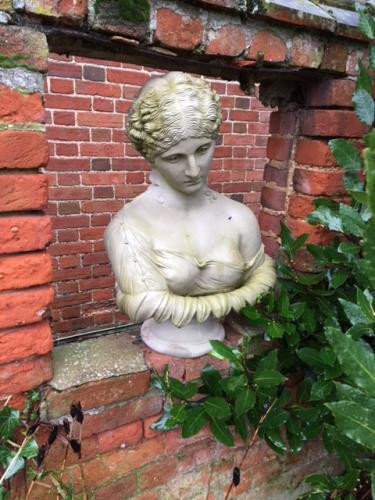 Very attractive large stone Bust of a woman. This is modern but tolerant of frost. Very good detail to face and hair etc. Collection only as very heavy and quite large.